For many of us we need a bit of a pick me up at the beginning of the year while we wait for spring. 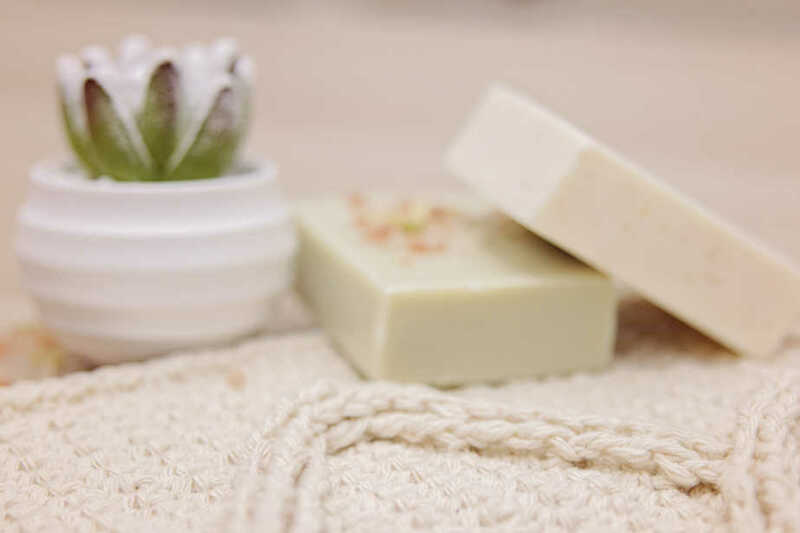 I’ve been hibernating a bit in a warm bathtub and creating my own personal at home spa. 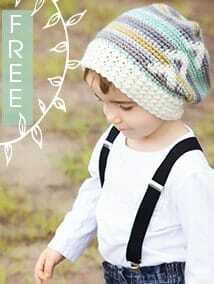 This inspired me to offer a Free Infinity Crochet course for all of my crochet friends. I’ve enjoyed sprucing up with a beautiful washcloth so of course I want all of my friends to enjoy this project as well! This project will be split into three parts, each one easily digested on a busy schedule. I’m not one to make New Year resolutions but I do love a goal that is set up for success and snowballs me into keeping inspired throughout the year. It’s always great to start the year off with a bang! 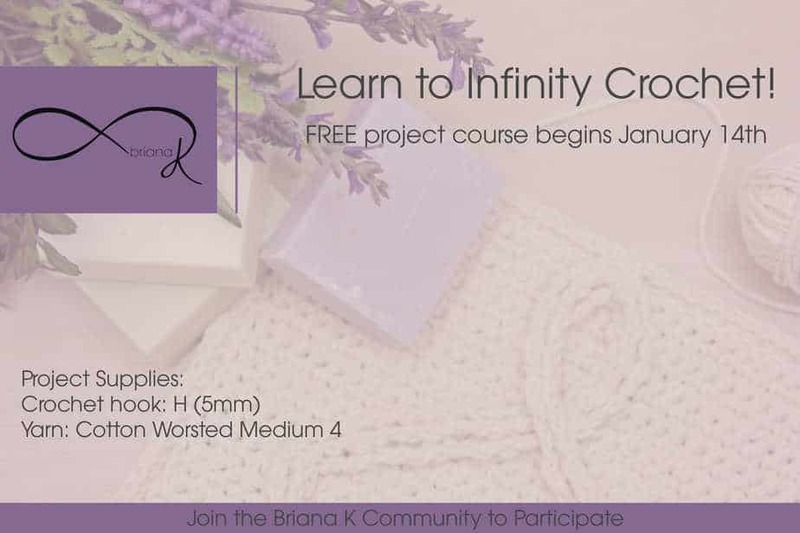 If learning to Infinity Crochet has been on your ‘to do’ list then let’s get that one checked off! We will be following along with our crafty friends in the Briana K Community with giveaways, progress pictures, and question & answers. So don’t be afraid to jump right in! You probably have the supplies in your stash already! All you will need is an H (5mm) Crochet Hook and 125 yards of cotton yarn in a medium weight. Please favorite the Infinity Crochet Washcloth on Ravlery and add it to your library. All updates to the written pattern will be sent through Ravelry. This quick and fun project will cover the essentials to get you started with a new an innovative crochet method called Infinity Crochet. All the post stitches are ‘floated’ on a consistent background stitch that never gets skipped. This allows the cable design to be raised further from the background than traditional raised stitches, and maintains an undisturbed gauge in the main fabric. What are the benefits in learning this new method? It gives crocheters infinite possibilities with a cable look that pops! This is simply gorgeous. I soooooo want to learn this, but am a left handed crocheter — will you provide the video tutorial for us lefties? Thanks!